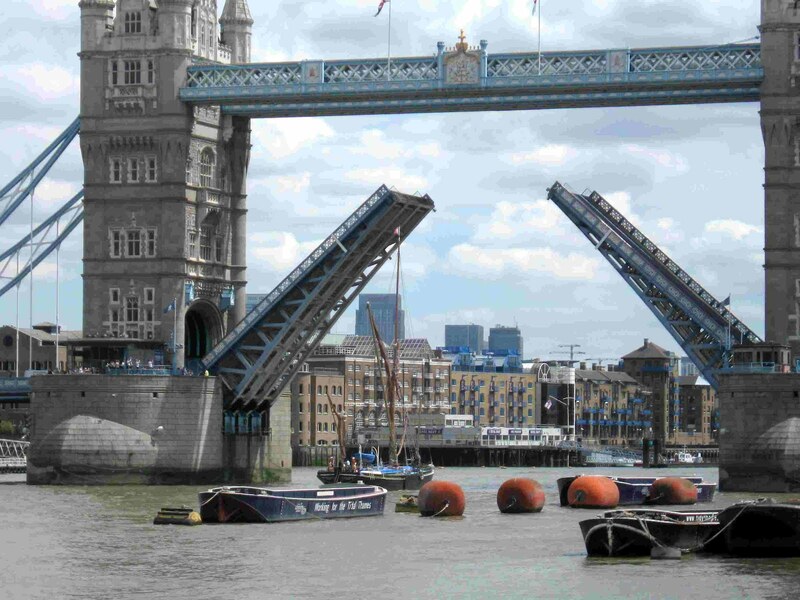 WHEN British businessman Sir Chay Blyth decided in 1997 to organise a rowing race across the Atlantic from England to America, he thought he'd publicise it by having some of the participants row up the River Thames to St Katherine's Dock, including passing under the iconic Tower Bridge. But he didn't quite expect the publicity his little promotion would create – particularly in splitting a security convoy that had been weeks in the planning into two parts, and subsequently leaving one of the world's most powerful men, America's President Bill Clinton on one side of the Thames, and most of his forward bodyguards and other security men on the other. One of the rowing team's sponsors had taken some VIP clients aboard a little luxury yacht called Gladys to watch their team pass up the river. 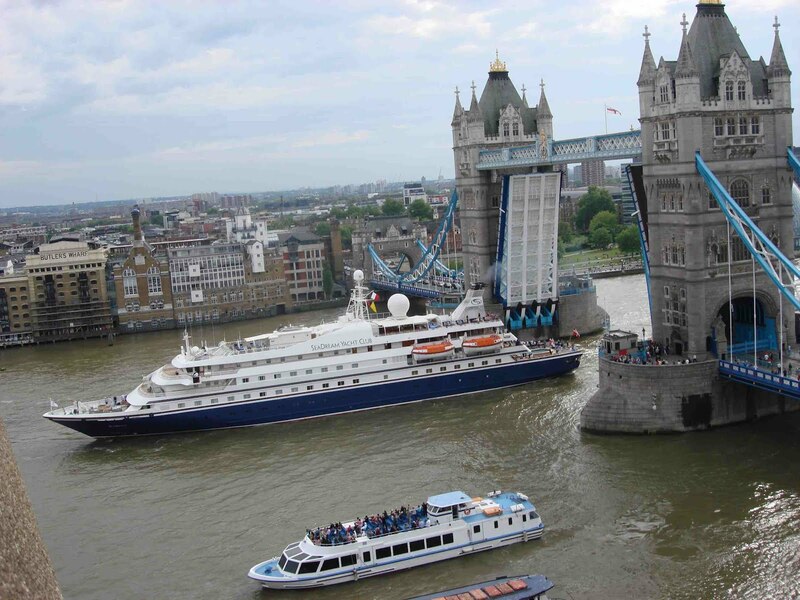 And has been tradition since the Tower Bridge was built a couple of centuries ago, when Gladys reached the bridge, and her masts were too tall to pass under, the operator raised its double-drawbridge roadway to give the yacht clear passage. But President Clinton was returning late and behind schedule to the American Embassy from a lunch with British Prime Minister Tony Blair at a restaurant on the banks of the Thames – and to the horror of his forward security detail who had already crossed the Tower Bridge and cleared traffic for the President's safe journey, the bridge suddenly opened behind them for yacht Gladys... exactly on a scheduled time previously agreed to by the Embassy. A fuming Bill Clinton was left on one side of the Thames, and most of his security men on the other. When asked how the bridge could have been opened at such a delicate moment, even though the President was late-running, a spokesman for the bridge told London media: "We tried to contact the American Embassy, but they wouldn't answer their phone." The Tower Bridge was the second bridge built across the Thames in the centre of London, the first being London Bridge, made famous by the nursery rhyme "London Bridge Is Falling Down." 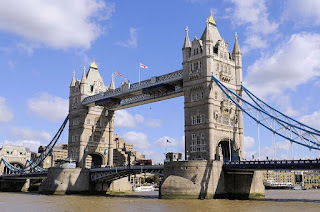 The Tower Bridge was built in the second half of the 19th century during a boom in commercial activity in London's east, and to get around the long detour over London Bridge and a haphazard ferry services. Two huge towers were built in the river itself and joined by two bascules (or draw-bridges) that could be raised to allow river traffic to pass. The towers were connected to the shore by mini-suspension bridges. 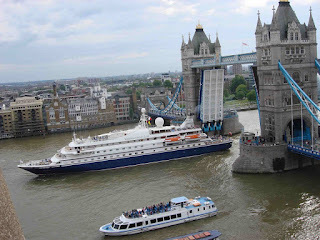 There were also two walkways between the tops of the 65m towers that are now used as a museum and a spot from which to take spectacular photos of the Thames and nearby London landmarks. Construction began in 1886 and the bridge was opened eight years later by the Prince of Wales. 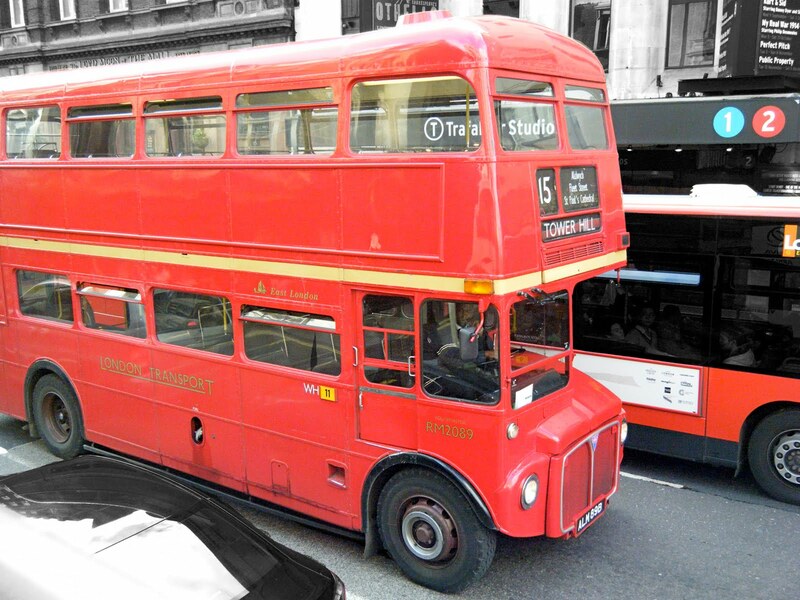 It cost £1.2 million – the equivalent of $A160 million in today's currency. Its design attracted much criticism, including such snide remarks such as "it represents the vice of tawdriness and pretentiousness" and "a more absurd structure than the Tower Bridge was never thrown across a strategic river". There is no such disapproval today... although President Clinton's security chief would doubtless not agree. To celebrate the Silver Jubilee of Queen Elizabeth II in 1977, the bridge was re-painted from its dull brown to red, white and blue...and that's the way it's been ever since. Some 40,000 people cross the Tower Bridge every day – local pedestrians, motorists, cyclists and, of course, the multitude of meandering tourists. And buses, one of which, a double-decker, in 1952 was on the bridge deck when it suddenly started to rise. It's claimed one of two warning bells for traffic had not been rung, and showing true Bulldog spirit the bus driver, Albert Gunter planted his foot on the accelerator and drove across the growing already metre-wide gap – landing two metre below on the opposite bascule, which had not yet started to rise. Next time you are visiting London make the Tower Bridge a must – and recall the Day It Stopped A President.